Viral-mediated central nervous system (CNS) disease is a complex spectrum of clinical syndromes that result from viral tropism and individual immune responses and genetic susceptibility of patients. The epidemiology of the pathogens is constantly influenced by the availability, or non-availability, of health care services; preventative strategies; and the process of globalization, with rapid movement of people, animals and products. It is further complicated by natural disasters, wars and changes in lifestyle. The effects of the neurotropic viruses are discussed against the background of the epidemiology. The pathogenesis is a chain of events with the point of departure when the virus enters the body to spread and reach the different sites of the CNS. The blood-brain barrier and blood-cerebrospinal fluid barrier are then overcome by captivating mechanisms. Once the different viruses have settled at the preferred site or sites, and have sidestepped the initial immune surveillance, the phases of injury commence. The cytopathic effect of the viruses elicits a para- and post-infectious inflammatory response and a vicious circle of continued damage, viral entry and inflammation results in a process not merely of inflammation, but of intense inflammation. The different clinical syndromes are then identifiable and should be interpreted against their own specific and appropriate epidemiological backgrounds. Clinicians face the challenge of problematic management decisions while awaiting results on gravely ill patients and differential diagnostic considerations have to be taken into account. Establishing a diagnosis is a two-tier process: first it requires the integration of cerebrospinal fluid findings, imaging results, electrophysiological studies, serology and ancillary blood tests, for example full blood count, liver function tests and other appropriate microbiological investigations, and then these should be correlated with the clinical condition of the patient. Treatment should be initiated as soon as possible. General treatment principles for stabilizing and maintaining vital functions are crucial and empiric treatment should be initiated as soon as possible. This usually includes a broad-spectrum antibiotic, such as third-generation cephalosporin and acyclovir. As soon as specific etiologies have been excluded antibiotics can be stopped. The use of acyclovir is discussed. 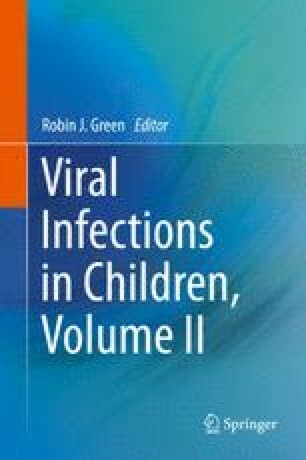 In the last section of the chapter specific characteristics of the neurotropic viral families are summarized. Jackson AC. Herpes simplex encephalitis. In: Medlink Neurology. Medlink Corporation, San Diego. 2016. www.medlink.com. Accessed 9 Oct 2016.